Segelnick SL. A survey of floss frequency, habit, and technique in a hospital dental clinic and private periodontal practice. N Y State Dent J 2004;70 (5):28-33. Segelnick SL and Goldstein L. Forensic application of palatal rugae in dental identification. The Forensic Examiner 2005;14 (1):44-47. Segelnick SL, Uddin M, Moskowitz EM. A simplified appliance for forced eruption. Journal of Clinical Orthodontics 2005;39 (7):432-434. Uddin M, Mosheshvili N, Segelnick SL. A new appliance for forced eruption. N Y State Dent J 2006;72 (1):46-50. Segelnick SL, Weinberg MA. Reevaluation of initial therapy: when is the appropriate time? J Periodontol. 2006 Sep;77(9):1598-601. Mantzikos K, Segelnick SL, Schoor R. Hematoma following periodontal surgery with a torus reduction: a case report. J Contemp Dent Pract. 2007 Mar 1;8(3):72-80. Gupta P, Segelnick SL, Palat M. Congenital diseases and a New York State regulation. Help is here. N Y State Dent J. 2007 Jun-Jul;73(4):20-7. Segelnick SL, Weinberg MA. Recognizing doxycycline-induced esophageal ulcers in dental practice: a case report and review. J. Am. Dent. Assoc. 2008;139(5):581-585. Segelnick SL, Weinberg MA. The periodontist’s role in obtaining clearance prior to patients undergoing a kidney transplant. J Periodontol. 2009 Jun;80(6):874-7. Weinberg MA, Segelnick SL. Surgical procedures for weight loss. US Pharm.2009;34(12):HS-2-HS-10. Segelnick SL, Weinberg MA. Doxycycline-induced dizziness in dental patient. N Y State Dent J. 2010 Aug-Sept;76(5):28-32. Weinberg MA, Segelnick SL. Management of nonvariceal upper gastrointestinal bleeding. USPharm.2010;35(12):HS-11-HS-20. Cote M, Segelnick SL, Rastogi A, Schoor R. New York state ear, nose, and throat specialists’ views on pre-sinus lift referral. J Periodontol. 2011 Feb;82(2):227-233. Weinberg MA, Segelnick SL. A profile of electronic cigarettes. US Pharm. 2011;36(7):37-41. Weinberg MA, Segelnick SL, Kye W. Dental complications of head and neck cancer radiotherapy. US Pharm. 2011;36(9)(Oncology suppl):3-7. Weinberg MA, Segelnick SL. Managing heart-related complications in patients with diabetes. US Pharm. 2012;37(2):68-76. Weinberg MA, Segelnick SL. Management of common oral sores. 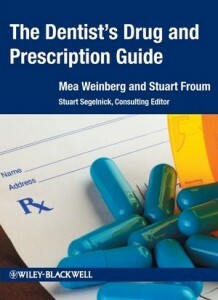 US Pharm.2013;38(6):43-48. Weinberg MA, Segelnick SL, Kay LB, Nair V. Medical and dental standardization for solid organ transplant recipients. N Y StateDent J. 2013 Nov;79(6):35-40. Schloss AJ, Segelnick SL,Weinberg MA.Ethical reply to the new I-STOP law. N Y StateDent J. 2014 Jan;80 (1):9-10. Dolin E, Perlmutter LD, Segelnick SL,Weinberg MA, Schoor R.Septic arthritis of the shoulder in a dental patient – A casereport and review. N Y StateDent J. 2014 April;80 (3):18-20. Mbibi SU, Segelnick SL, Weinberg MA. Epithelial and Fibrous Hyperplasia: An Oral Manifestation of Tuberous Sclerosis Complex. A Case Study. N Y State Dent J. 2015 Aug-Sep;81(5):37-41. Segelnick SL, Weinberg MA. Basic Pharmacology: Part I – Pharmacodynamic and Pharmacokinetic Principles. dentalcare.com. Accessed April 11, 2016. Segelnick SL, Weinberg MA. Basic Pharmacology: Part II – Pharmacotherapeutic Issues, Drug Regulations, and Prescription Writing. dentalcare.com. Accessed April 19, 2016. Kelly P, Segelnick SL, Cardo VA. [A hematoma associated with lateral window maxillary sinus augmentation: a case report, literature review, and suggestions for management of a rare complication]. DZW, Orale Implantologie, 2017; 2/04: 6-12. German. Weinberg MA, Segelnick SL. Insler JS. Abuse Potential of gabapentin in dentistry. Gen Dent. 2017 Nov-Dec;65(6):73-75. Westphal – Theile C, Weinberg MA, Segelnick SL. 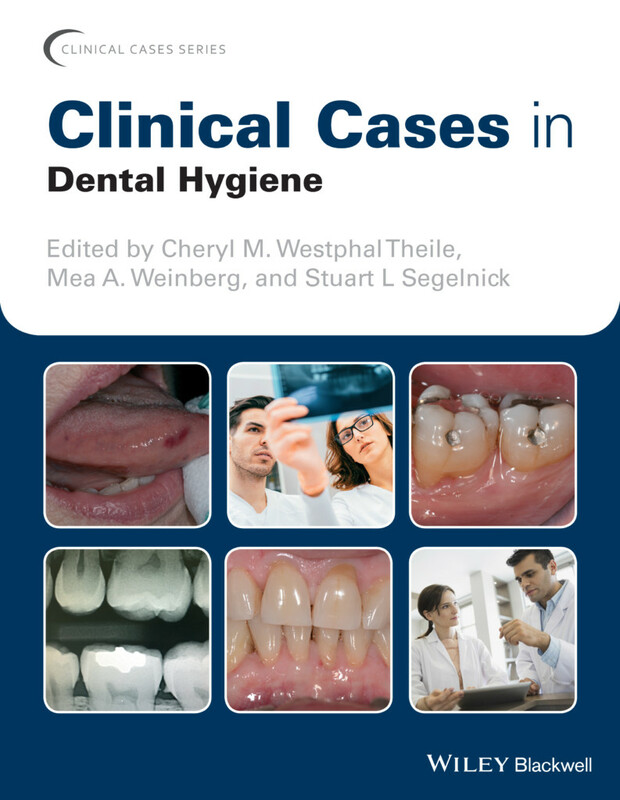 Clinical cases in dental hygiene. Jan. 2019. Weinberg MA, Segelnick SL,Insler JS. The dentist’s quick guide to medical conditions. Feb. 2015. Weinberg MA, Froum S, Segelnick SL (Consulting Editor). The dentist’s drug and prescription guide. Nov. 2012. Weinberg MA,Westphal – Theile C, Froum SJ, Segelnick SL. Comprehensiveperiodontics for the dental hygienist 4th ed. Jan. 2014.